If you need a copy of your complete medical record, contact the KANA Medical Clinic at 907.486.9870. To sign up for a MyHealth account please speak with the front desk staff. For 24/7 password help, please call 877.621.8014. Do not use secure messaging for urgent matters. If you require immediate assistance or are experiencing a medical emergency, please use the emergency system in your community (for example, call 911). 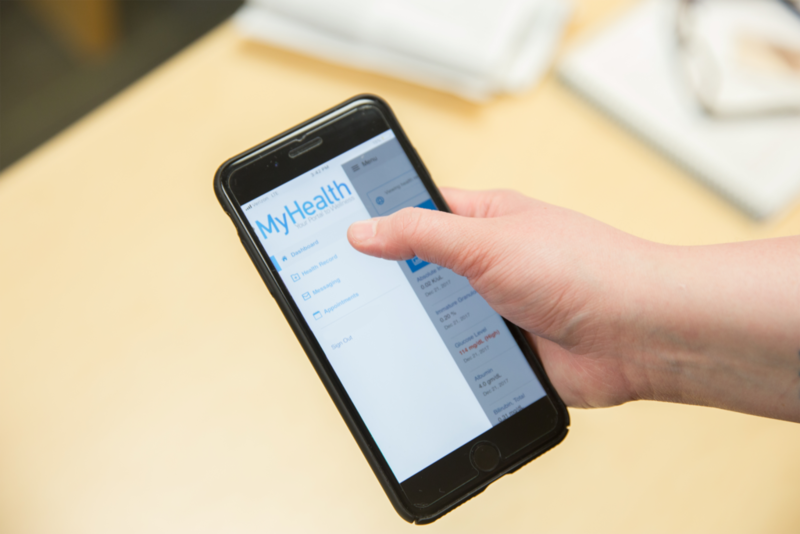 Access your MyHealth portal on your smartphone or other mobile devices. In your app store search: HealtheLife. The HealtheLife mobile app gives you real-time and easy access to your MyHealth online portal. Are you already enrolled in MyHealth? New security updates were issued for MyHealth and the HealtheLife smartphone app. If you were enrolled before August 7, 2018, you'll need to update your account on your next visit to KANA. A Customer Service Specialist at the front desk will be able to set you up. ← Summer Fitness BINGO Challenge!